B.A., LL.B., Bar at Law, G C.I.L.Ex. Fraz Wahlah is a real star in the field, his knowledge of British immigration, nationality, human rights and European free movement law is second to none. Fraz Wahlah is one of the first few British lawyers who have been featured in the first ever Law and Justice (London) Edition of the Parliamentary Review alongside the honourable Prime Minister Theresa May. 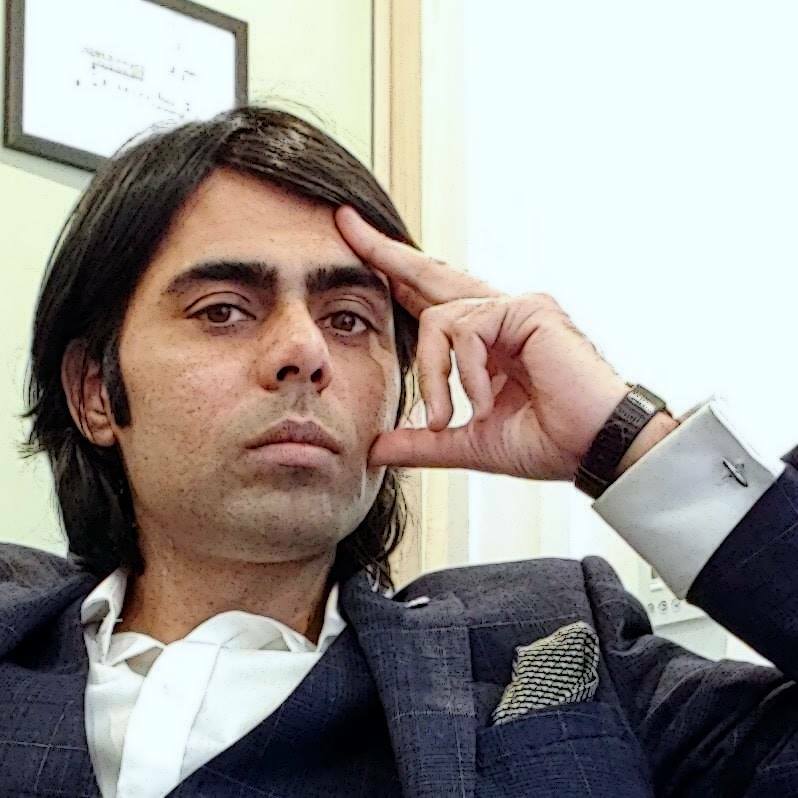 As a leading international lawyer and human rights icon, Fraz Wahlah has been featured on some of the most prestigious media outlets including business and technology leadership magazines CIO, InfoWorld, and ComputerWorld, as well as the Tech London, Dawn News, and the BBC – in the USA, Germany, Norway, Malaysia, Pakistan and the UK. Fraz Wahlah has also been featured as a “Migrant Hero” on “Standing on the Shoulders of Giants” campaign in London organised by JCWI, IOM and, MAX. As our director he brings to 1st Citizen a decade of international legal practice experience during which he has advised and represented investors, entrepreneurs, celebrities, sports figures, royal families, and music and tech companies internationally. Prior to founding 1st Citizen, Mr Wahlah served on the board of leading healthcare technology corporation, CureMD Inc, where he negotiated some of America’s largest healthcare technology transfers, built one of the world’s first healthcare technology licensing system, and negotiated favourable out of court settlements in high value intellectual property lawsuits. Fraz Wahlah has qualified as an lawyer, adviser and barrister - in more than one jurisdiction internationally. He was first called to the Bar abroad as an Advocate High Courts, and later in England & Wales as a Barrister at the prestigious Honourable Society of Lincoln's Inn. In the UK, however, Mr Wahlah practises solely as an immigration lawyer/adviser under authorisation from the OISC - an organisation set up by the British Home Office to oversee the provision of immigration advice and services. Mr Wahlah is authorised to advise and represent clients in their immigration, human rights and nationality related applications to UK Visas & Immigration and British posts abroad. He is not practising in the UK as a barrister, is not able to exercise any rights as one, and is not subject to the rules that practising barristers have to obey. As a lawyer, Mr Wahlah is also licensed by the Bar Standards Board under the Bar Council's licenced access scheme allowing him to instruct barristers direct for legal advice in immigration and asylum matters. Fraz Wahlah is also a graduate member of the Chartered Institute of Legal Executives (CILEx) in the UK. Fraz Wahlah comes from a family that is deeply rooted in history of fighting injustice, aggression, and tyranny. The family's three generations stood up to three dictators in the 20th and 21st centuries in Asia and Europe. Fraz Wahlah's grandfather fought Hitler's Nazi alliance forces in the second World War as a soldier in the British Indian Army. His father, Mr. MS Wahlah Advocate, was a celebrated human rights lawyer and politician who led the Movement for Restoration of Democracy (MRD) against the Marshal Law of another dictator, General Zia-ul-haq, in Pakistan back in the 1980s. MRD was one of world’s greatest non-violent movements for restoration of civil rights, democracy and rule of law since the times of Gandhi. It was a decade long civil rights struggle that eventually brought down the dictatorship restoring democracy in Pakistan. In August 2013, BBC published the iconic photograph of 4 year old Fraz Wahlah leading the MRD movement on the front-line. BBC published and broadcast a featured interview of Fraz Wahlah calling him the Flag-bearer of MRD (Movement for Restoration of Democracy). 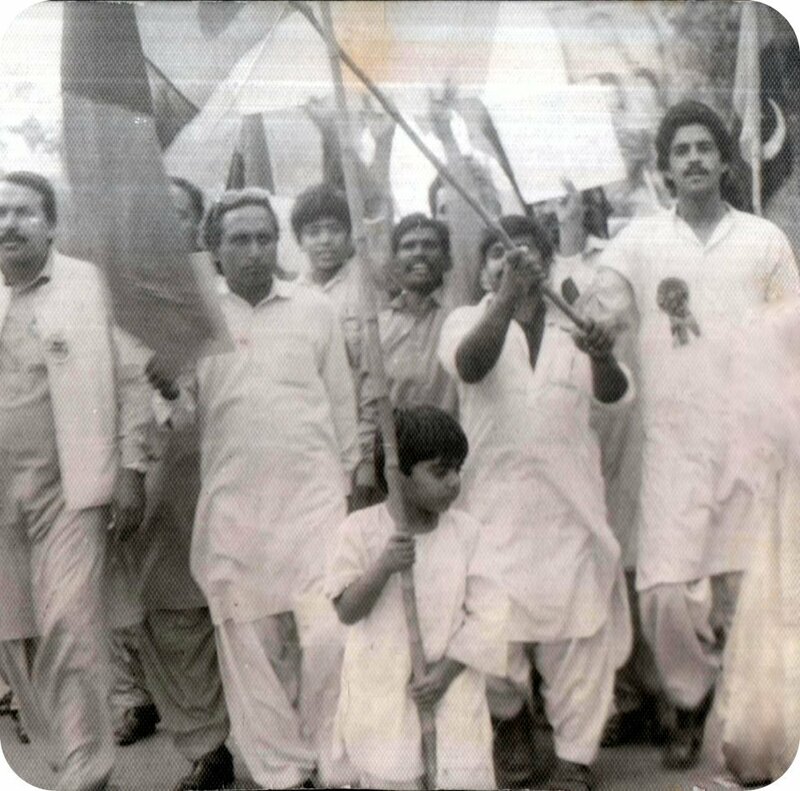 Fraz Wahlah had led the movement against dictatorship as child flag-bearer along with his father Mr MS Wahlah Advocate. At the peak of the movement Fraz Wahlah, from the tender age of 4, faced tear-gas, baton charge, and arbitrary arrest and detention making him the youngest political prisoner of a dictator in the struggle for democracy in Asia and perhaps in the world too. 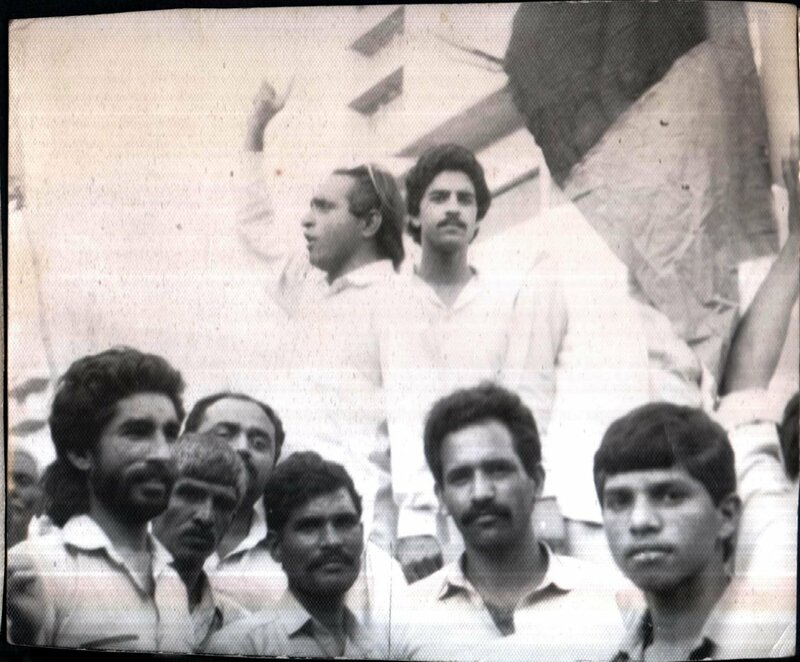 In 2015, Fraz Wahlah's iconic picture of leading a protest, as a child activist, against dictatorship shortly before his arrest was included in renowned journalist Mr Nadeem F. Paracha's pictorial history of Pakistan as an ideological state published in Dawn newspaper. The picture was included among a set of other historic photographs that defined Pakistan. During his political career as an adult, Fraz Wahlah also worked as the vice president of Pakistan Peoples Party’s (PPP) youth faction for the province of Punjab under the leadership of former Prime Minister Benazir Bhutto and led the movement for the restoration of judiciary too during the rein of another dictator, General Musharaf. In 2015, Fraz Wahlah along with 343 leading British judges, Lords, lawyers and academics signed a statement calling for an 'urgent, humane and effective governmental response to the refugee crisis'. Entitled 'Call from the Legal Community for Urgent Action', the statement termed the Government's response of offering to take in 20,000 Syrian refugees over five years as 'too low, too slow and too narrow'. It was published in both The Times and The Guardian newspaper and is available to read in full on the Lawyers' Refugee Initiative website. 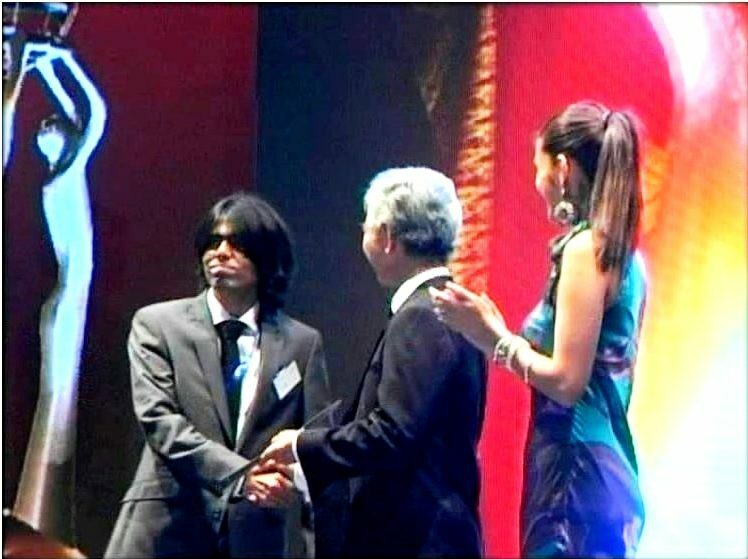 Mr Fraz Wahlah Receiving the International ICT Oscar Merit Award in the presence of the Prime Minister of Malaysia, the Miss Universe and other international dignitaries and diplomats. In 2018, Fraz Wahlah was asked by the former Tory party chairman Lord Sir Eric Pickles to contribute to the Parliamentary Review for the year 2017-18 for the British legal sector. Featured alongside the Right Honourable Prime Minister Theresa May in the Parliamentary Review, Fraz Wahlah reflected upon his and his family’s political struggle for civil rights, democracy and rule of law to question whether the British government and society have turned away from Britain’s founding values. In October 2010, Fraz Wahlah, while representing Pakistan at the 10th International Asia Pacific ICT Alliance Awards, held in Kuala Lumpur, Malaysia, won the first ever International ICT Oscar (Silver Merit) for Pakistan in the ehealth category. He received the award from the Malaysian IT Minister and Miss Universe in the presence of the Prime Minister of Malaysia, former Prime Minister Mahathir Mohamed, and other dignitaries and diplomats from around the world. Fraz caused a little controversy at the event by predicting his win right after presenting his case before the judges. He turned out to be right, and won the award. The president of Pakistan’s Software House Association later recounted the story on her official blog. 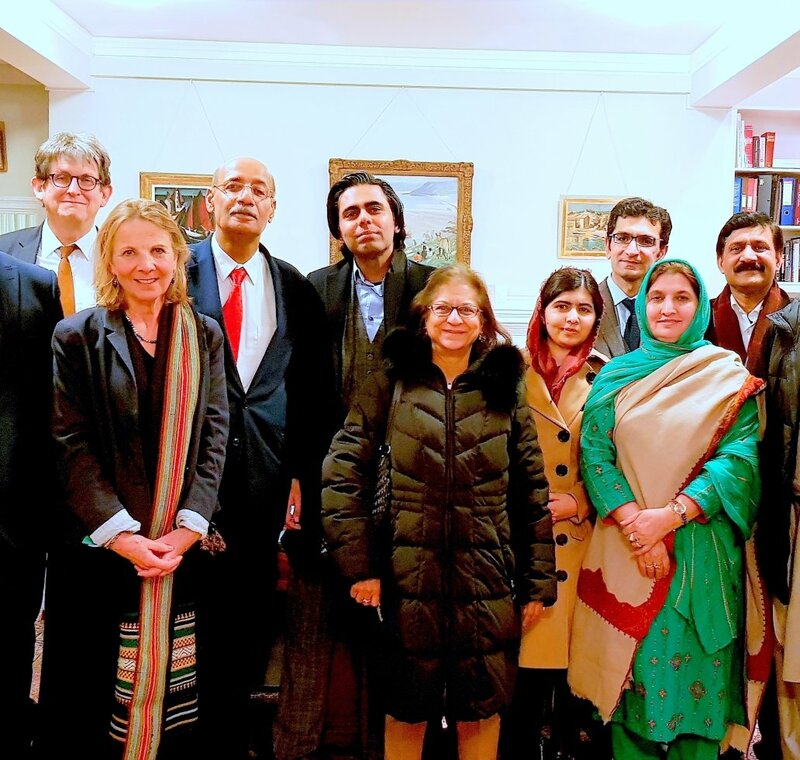 The group picture above shows Fraz Wahlah with Asma Jehangir (UN Human Rights Rapporteur), Malala (Nobel Laureate), Victoria Schofield (leading historian and a friend of former Prime Minister Benazir Bhutto), Alan Charles Rusbridger (former Editor - The Guardian and the Principal of Lady Margaret Hall, Oxford University), Ziauddin Yousafzai (leading author and education activist) and Nadir Cheema (Teaching Fellow - SOAS London). The picture was snapped at at the Memorial of former Prime Minister of Pakistan, Mrs Benazir Bhutto at the Oxford University’s Lady Margaret Hall. The memorial was part sponsored by Fraz Wahlah and his firm 1st Citizen Lawyers. 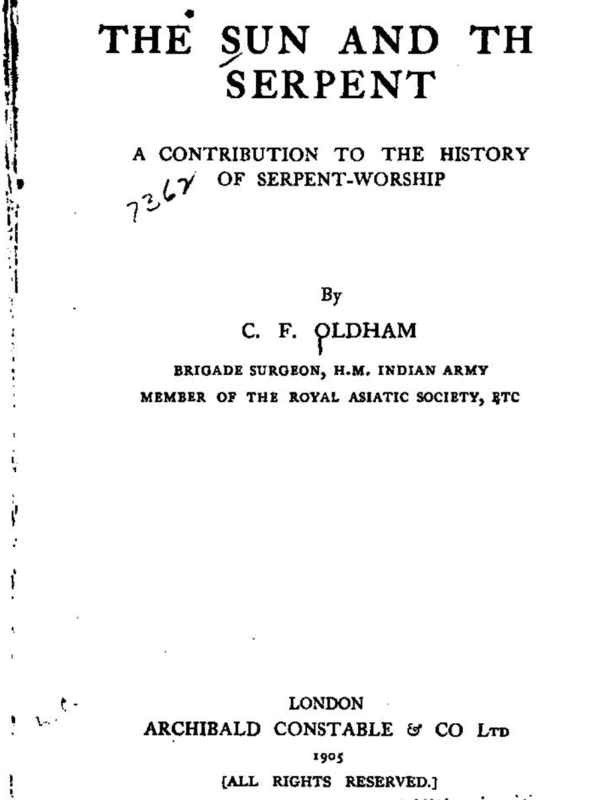 The subject of the book was the history of worship of the sun and the serpents in the Indian subcontinent. In the book, Mr Oldham, who was then Brigade Surgeon of British Indian Army and Member of the Royal Asiatic Society, refers to the Wahlah dynasty as the ancient Kings of Indus, "Lords of Arore", "Tatha Multan ka rai" (The kings/rulers of Sindh, Tatha and Multan - the Indus Valley civilisation). As per the Wahlah family's traditions confirmed by Mr Oldham's book, the Wahlah dynasty ruled the Indusy Valley and remain undefeated for centuries from before 400AD until after 750AD. 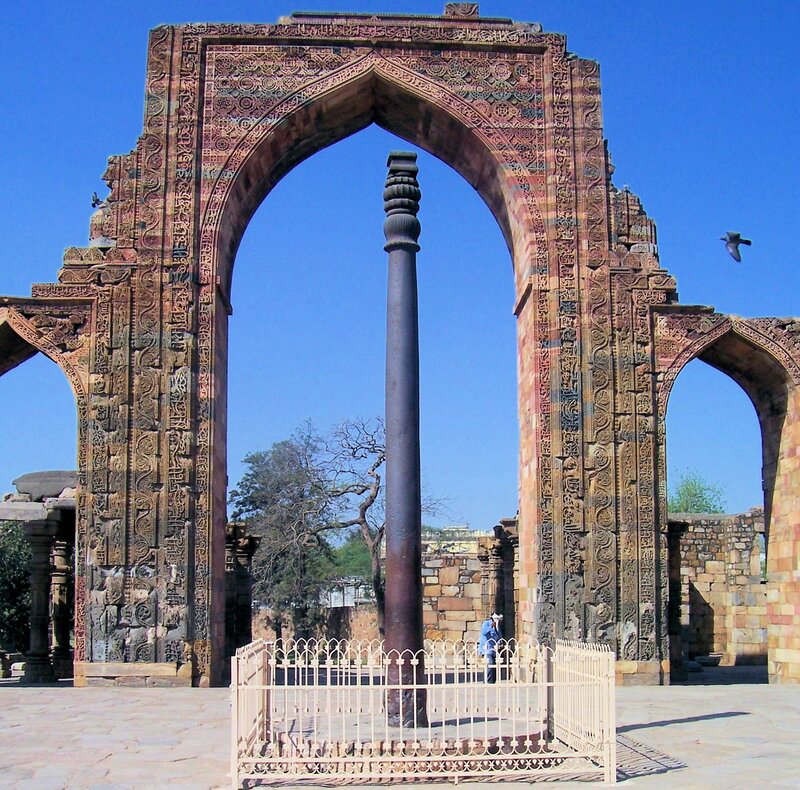 The book also confirms that the famous ancient Iron Pillar of Delhi was erected in 450AD by King Chandra Gupta I in celebration of finally being able to defeat the Vahla family in war. 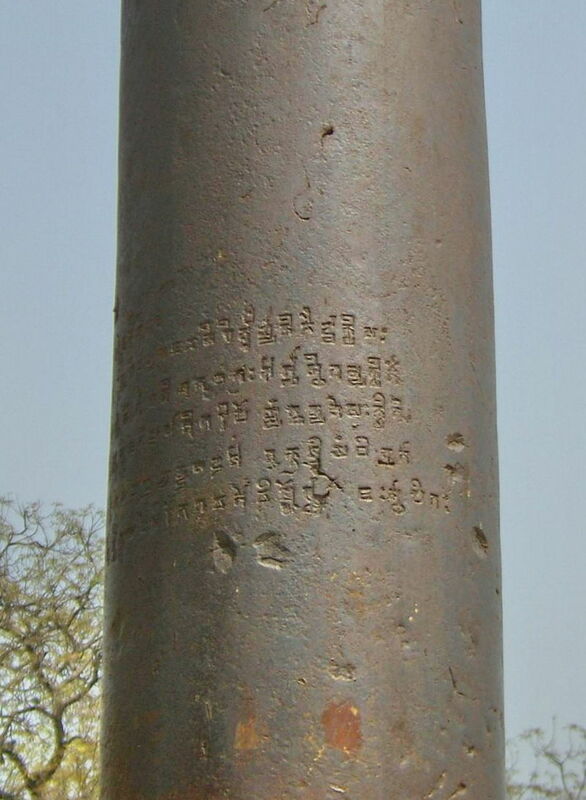 The pillar has an inscription dated to be around 415AD stating that the ancient monument was erected in celebration of a victory over the Vahlas of Sindhu (King Wahlahs of the Indus Valley). "The Kathis claim to have been allies of the Kauravas in the great war of the Mahabharata. * As already mentioned, they were a branch of the Kathias. An inscription from Ramchand- rapur, near Bundi in Rajputana, quoted by Colonel Tod, says that the warrior Takhya, who formed the garland (of skulls) on the neck of Mahadeo, was of the Catti (Kathi) tribe. * Closely connected with the Kathis, and apparently of the same stock,* are the Vahlas, or Bahlas, or Bahilkas, who are said to have been lords of Arore in the Indus valley, and whose chiefs were addressed by the bards as *' Tatha Multan ka rai,*' or kings of Tatha and Multan. * This title is also given to the Kathis,^ and the term Kathiani bai, or Kathia lady, is sometimes applied to ladies of Vahla family. * Balas and Kathis are probably branches of the same people. The name Vahla, or Bala, recalls that of the great Asm-a Bali of Patala, who also ruled from the mouth of the Indus to Multan. It seems at least possible that the Balika rais, who in later times held the same tract of country, may have been descendants of the Daitya king. * The Indus valley, therefore, down to the time when this pillar was first erected, was still held by Bahlika chiefs. Moreover, as we have already seen, Multan and the neighbouring country formed a part of the kingdom of Takhya at the time of Hiouen Tsiang's visit in the seventh century. Down to this period, therefore, the descendants of the Naga rajas still ruled in the Indus valley." Mr Wahlah can fluently speak English, Punjabi, Urdu, and Hindi. ♠ Son to eminent lawyer and politician 'M.S. Wahlah' (1950 - 2012) and celebrated poetess 'Um-e-Sleet' (1958 - 2005) in whose honour wrote likes of 'Hafeez Jhalindhri', creator of Pakistan's national anthem. Iron Pillar Image Credit: Sujit kumarLicensed under the Creative Commons Attribution-Share Alike 3.0 Unported, 2.5 Generic, 2.0 Generic and 1.0 Generic license.